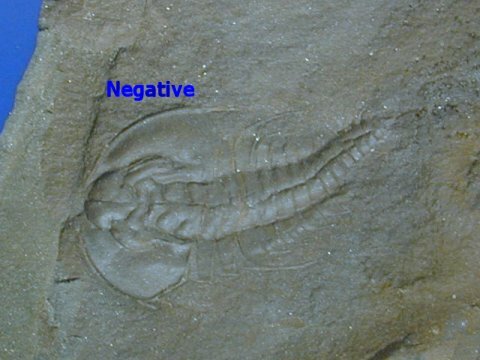 A product of the Cambrian explosion, the suborder Olenellina is morphologically diverse and constitutes a major suborder within the Order Redlichiida. 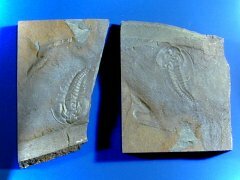 There are more than 50 genera and subgenera that are an important basis for stratigraphic subdivision in Lower Cambrian rocks. 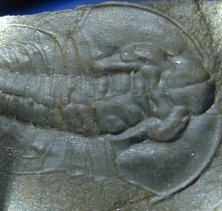 Importantly, members of Olenellina rank among the earliest trilobites in Cambrian statigraphy, dating to about 560 million years ago. 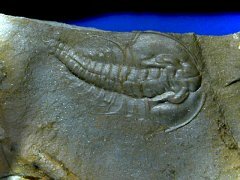 Morphologically primitive, its evolutionary origin from Precambrian, segmented worms (if you subscribe to this hypothesis) is evident. 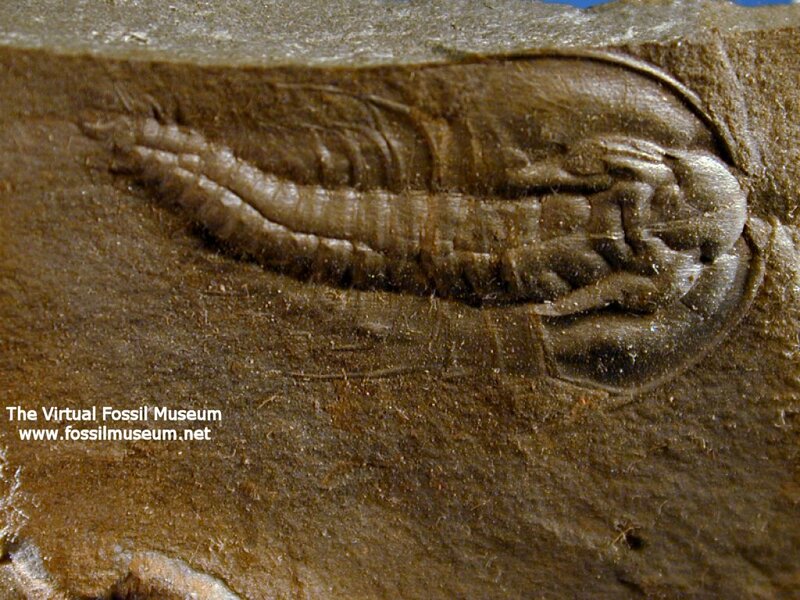 Here we have Olenellus sp. 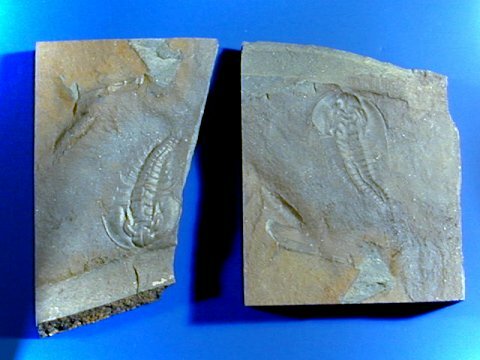 It comes from the Lower Cambrian, Eager formation near Cranbrook, British Columbia, Canada. It has not yet been described. There is both part and matching counterpart. The trilobite has a dark and glossy exoskeloton and is exquisitely preserved.